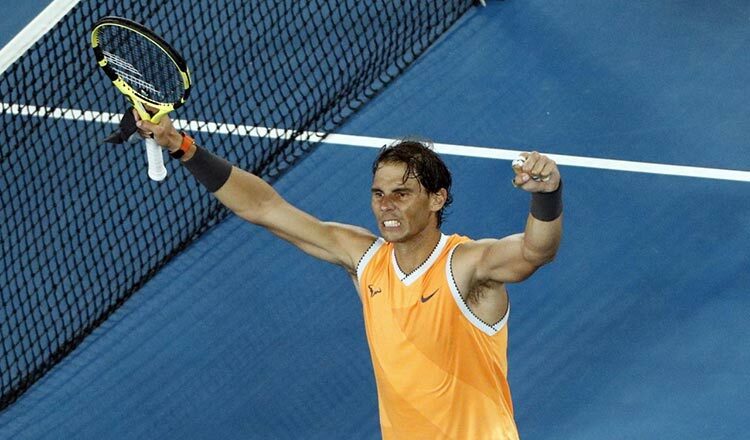 MELBOURNE (Reuters) – Rafa Nadal kept the flag flying for the old guard at the Australian Open with a 6-3 6-4 6-2 win over American Frances Tiafoe yesterday for a place in the semi-final, where he will meet another next generation player in Stefanos Tsitsipas. Nadal’s match against Tiafoe, who turned 21 on Sunday, was billed as an intriguing clash of generations after the loss of Roger Federer to Tsitsipas earlier, but the second seed was ruthless as he reached the last four without dropping a set. The 17-time Grand Slam champion broke Tiafoe’s first service game in each set and with a second break in the third set wrapped up the victory in an hour and 47 minutes.